I guess somebody lives on that street. . .
. . .although you wouldn't know it from any of the houses. 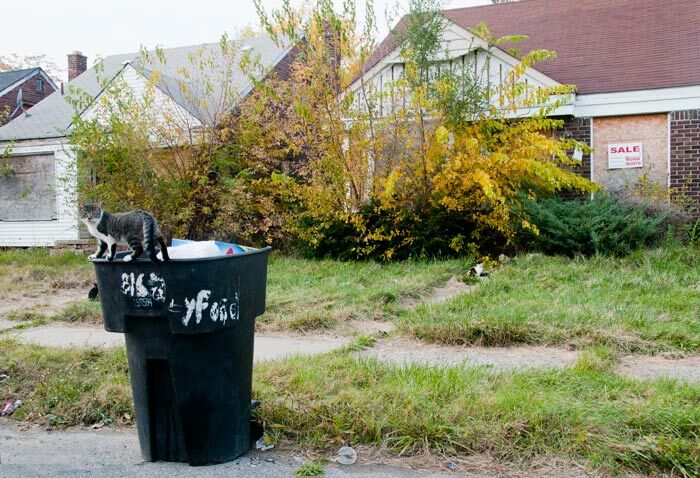 Still, somebody has to put the garbage out to feed the gang of feral cats.